Just a bit tighter and that should do it….. annnnnnd now it is stripped. Great, that’s not a good situation. You just stripped out a hole in a bracket that you can’t just replace. Now what? You can’t add a nut to the back side because that won’t fit, and you need to get your car back on the road. Never fear, there is a solution to your problem. All you need to repair damaged threads is some patience and a tap and die set. Threaded holes can be found in all areas of your vehicle, from the engine to the chassis. These holes are tapped with the correct size of threads for the job at hand. 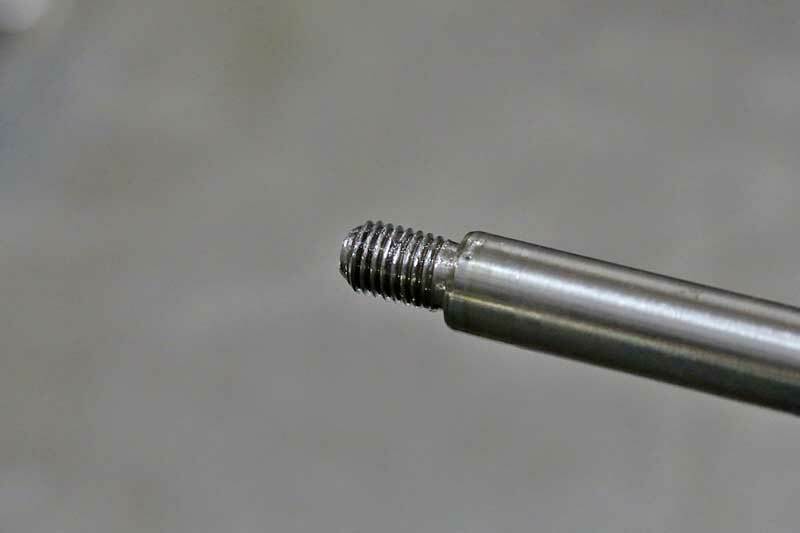 When you strip one out or break a bolt inside the hole, the threads are damaged. 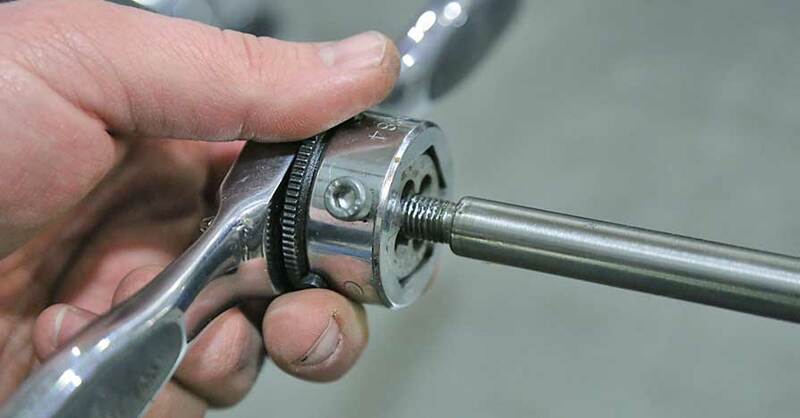 In some cases you can re-tap the threads with good results, but if the fastener is under high load or critical, then you will likely have to go to the next size up. These holes use taps, which cut threads into the metal. They are twisted by hand, and slowly work their way into hole being tapped. 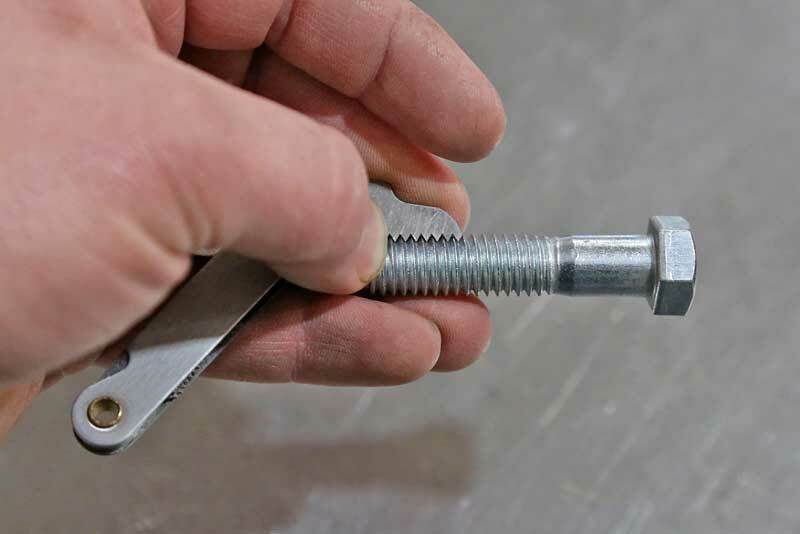 Threaded parts such as bolts, shafts, and other similar parts use dies to cut the threads. 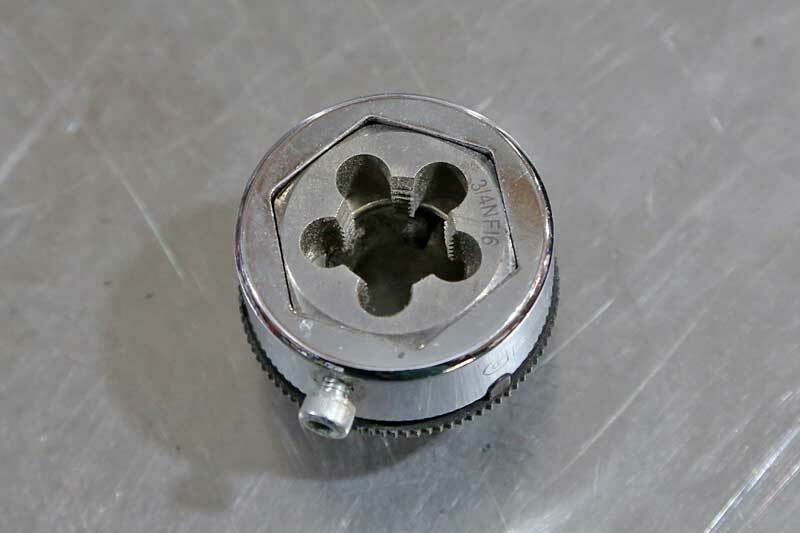 This is done in a similar manner as a tap, but the shaft of the part threads through the die as it cuts the threads. In most cases, parts like these can be re-threaded, but they must be done with the same size threads, you can’t cut the next size smaller threads. This only works for non-critical, non-high load components. If the threads got dinged or flattened, then this will work. If the threads are stripped, you likely need to replace it. 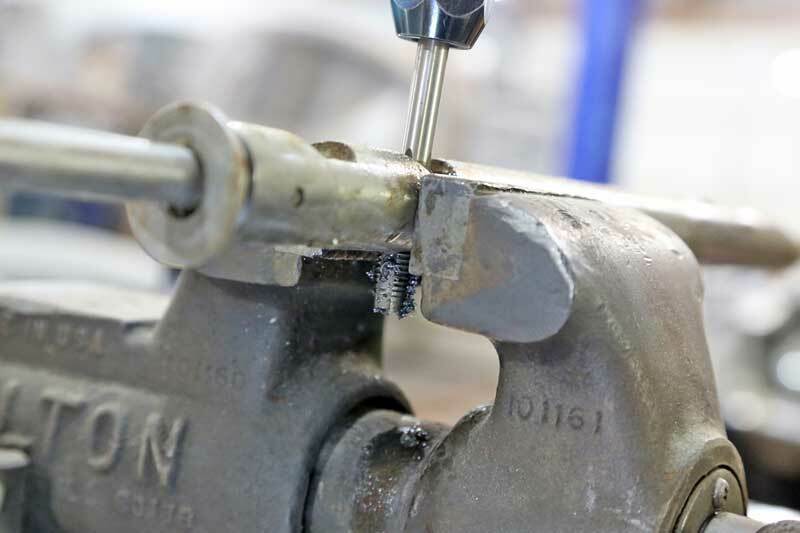 The following procedures will guide you through the basics of how to repair damaged threads. As with any repair, be careful of what you fix versus replace. 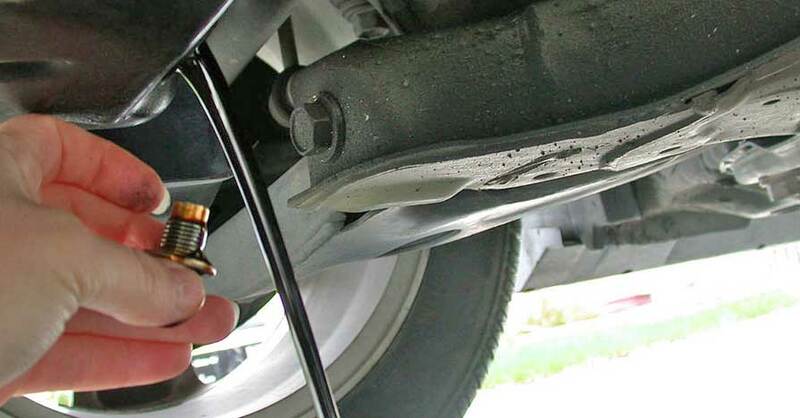 If it is a high-load or critical part (steering, suspension, drivetrain), consider replacing the item over repair. 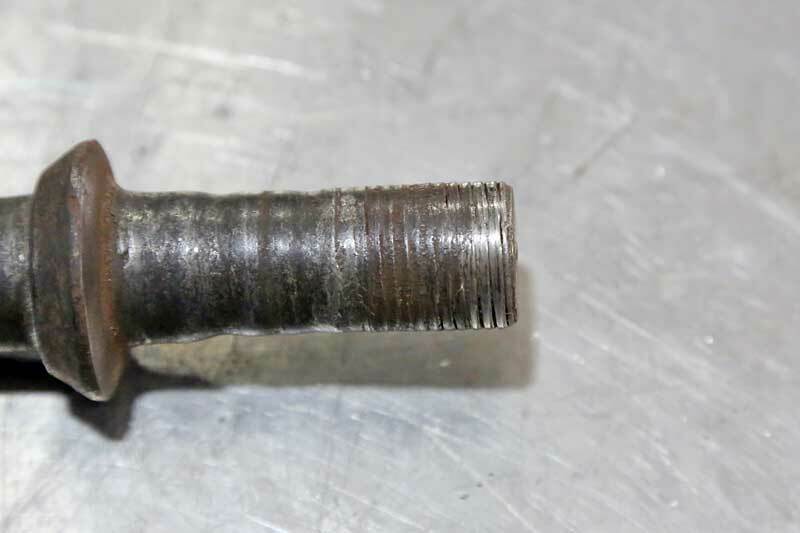 Example 1 – Damaged threads on a the end of a tie-rod (such a hammer blow rolled the edge and the castle nut won’t start); this is a safe repair item. The threads on this steering bar have rolled edges, this can be repaired without affecting the performance. 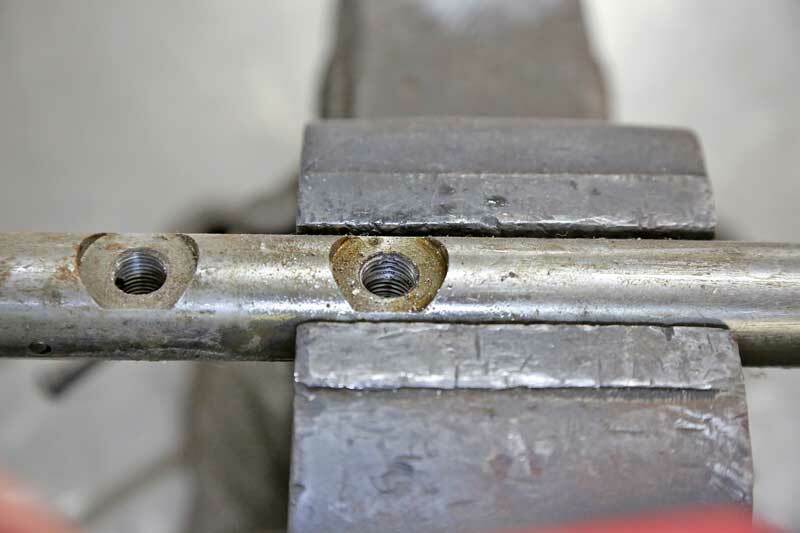 Example 2 – The threads on the end of the lower control arm center shaft are stripped. This is a replace item, as the performance of the repaired threads would not be up to the high-load stress. These threads are wasted and this is a high-stress component, so this part would need to be replaced not re-threaded. 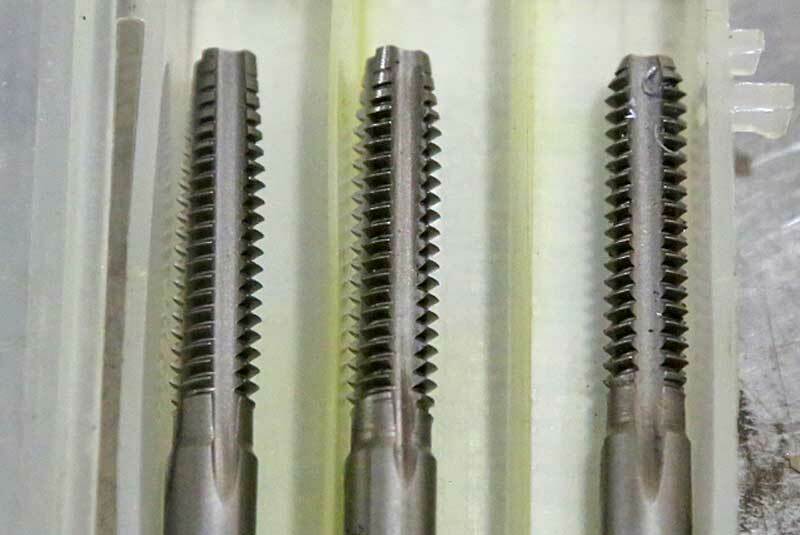 Choosing to repair damaged threads requires knowing exactly what thread you are working with, whether it is fine or coarse, and what size the threads are. Please see our article on fasteners for more information on thread sizes. There are several tools you can use to determine the thread sizing. Unless your damaged part is easily portable and small enough to be manipulated, the traditional thread gauges guides won’t do you much good. In most cases, you can use a nut or bolt to check the threads. If that is not an option, you can use a thread pitch gauge, such as the ones that are included in this Gearwrench tap and die set. You need the gauge and a chart (seen here) to match the thread pitch on the gauge. The gauge fits the pitch and spacing of the threads perfectly. If the threads do not match perfectly, it is the wrong one. Some pitches overlap different sizes, so you have to use the chart to determine what size fastener you have. Thread size and pitch is critical to this type of repair. Using this style of pitch gauge, you can determine exactly what you have. This tool works on bolts and threaded holes. With the correct size of the threads, you can select the tap. There several types of taps; taper, plug, and bottoming. The taper tap is the most common tap design. This is the style used for creating new threaded holes. The first 8 to 10 cutting flutes of the tap are not full, they gradually build up to the full thread size. The taper is there to guide the tap in the hole and to slowly cut the threads in fresh material. While this is great for through-holes, where the backside of the hole is open, these only get part of the job done when you are working with a blind hole, where the hole is closed. For that, you need a bottoming tap. This type has full cutting flutes all the way to the bottom of the tap. The plug tap is in the middle, it uses 3-5 gradual flutes. 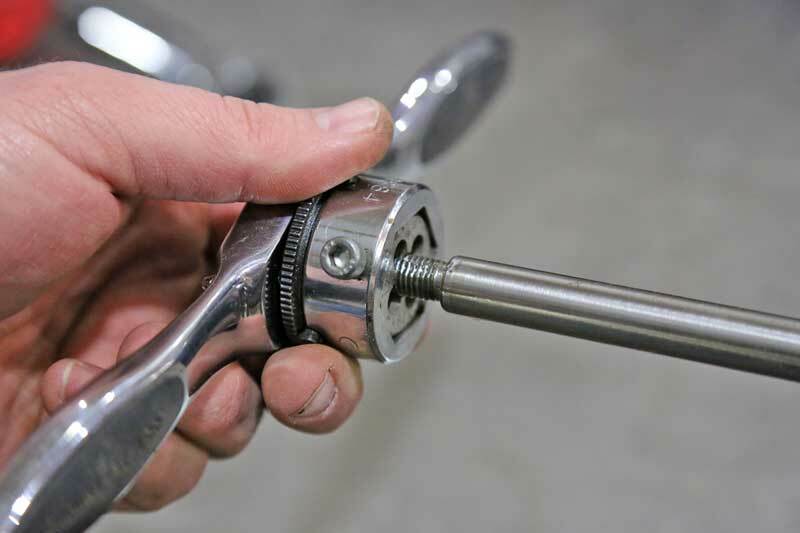 If you are repairing damaged threads, either of these taps will usually work, unless it is a blind hole, in which you need to use a bottoming tap. You may not need to use a cutting tap at all, however. There is a fourth type of tap, called a chaser, which does not have cutting flutes. 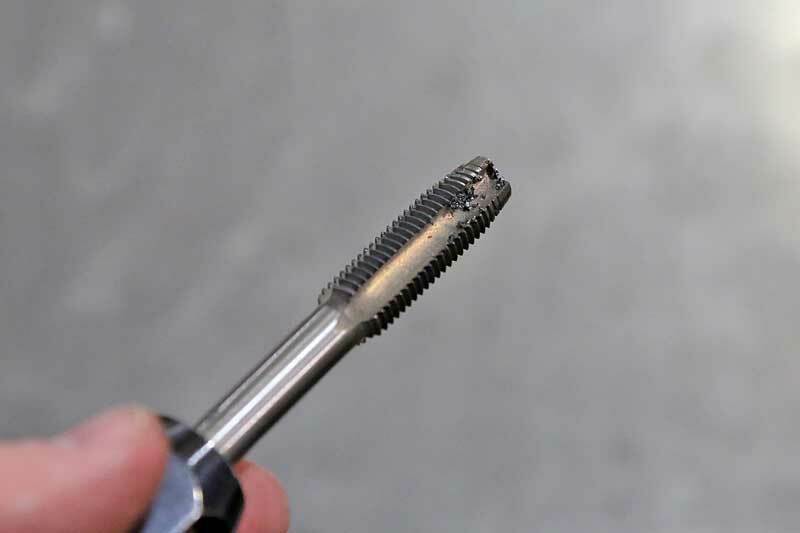 Instead, the chaser tap is designed to remove debris and rust from the threads without cutting new threads. 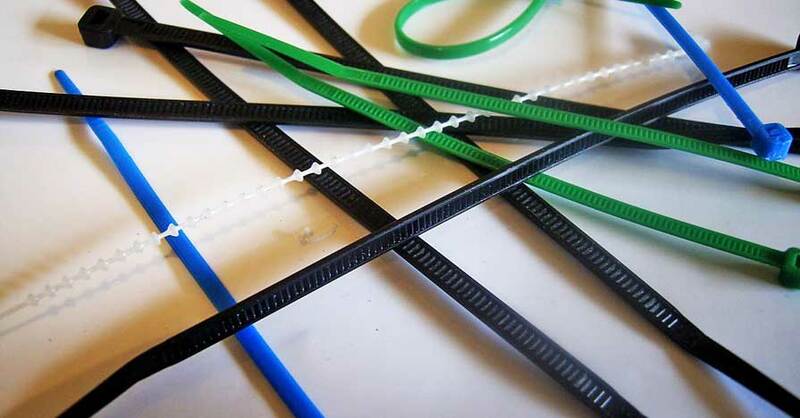 A chaser can also clean up bungled threads in some cases, saving you from having to use a cutting tap. Using the tap requires patience and technique. You absolutely can do it wrong, and when it goes wrong, it is usually bad. There are few things worse than breaking a tap in a hole, they are very difficult to remove. The biggest issue for tapping threads with getting the tap crooked. 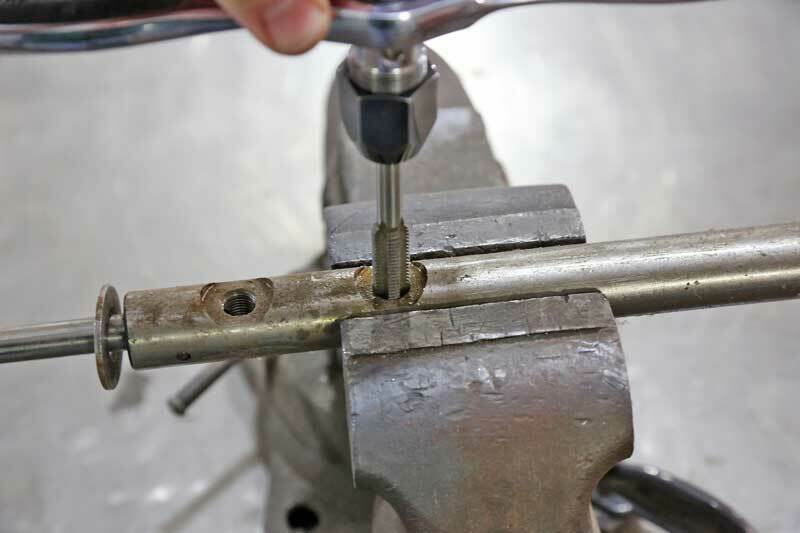 For repairing holes, this is not as big of an issue, as you are likely following existing threads, but if your threads are severely damaged, threading the hole at an angle is a very real possibility, so take care to ensure your tap is at the correct angle to the part, nearly always 90-degrees. The threads on this rack and pinion has been damaged. This is a repair item, and we will use a tap to clean it up. Another issue is lubrication. 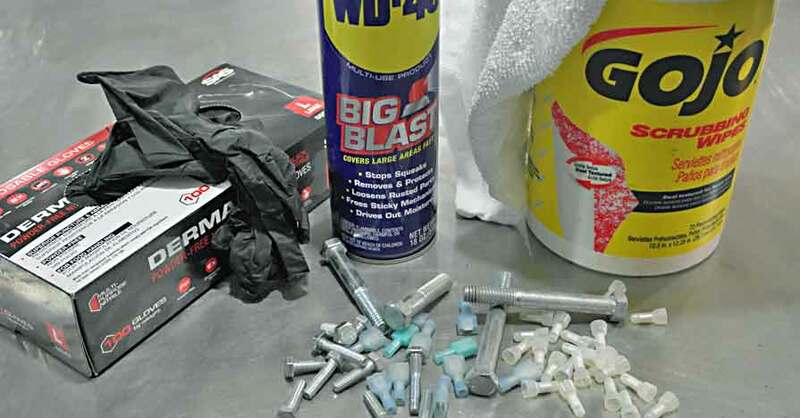 Never use a tap or die dry, always spray the part and tool with oil or lubricant like WD-40. Even better is to use cutting fluid, which is specifically designed for machining and thread cutting. This goes for thread chasing as well. Before starting the work, the threads were lubed up with some penetrating oil. Thread cutting generates chips called “swarf”, much like drilling does. These chips tend to clog up the flutes. With about every 3-4 rotations of the tap, stop, reverse a half turn, then continue cutting. This breaks up the chips and helps your tap cut cleanly. If you are working on a deep hole, you will want to pull the tap out several times and clean it off. The taper style tap was inserted and slowly threaded into the hole. The tapered flutes help ensure that the tap is centered and vertical. We ran the tap all the way through the part, so that the bottom threads were touched by the full flutes of the tap. The chips in the relief grooves of the tap are called swarf, they should be cleaned off before putting the tap away. Once the threads are cut, you need to clean out the hole. Spray it with compressed air, brake cleaner or lubricant to get all the chips out. 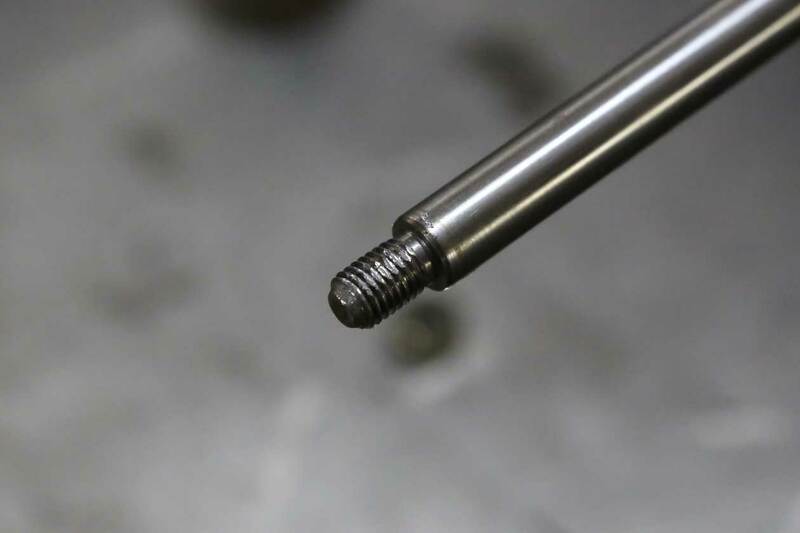 Fixing threads on a threaded shaft follows much of the same path; however there are few minor differences. Dies come in cutting and rethreading types. A cutting die cuts new threads, whereas a rethreading die is like a thread chaser to fix slightly damaged or dirty threads. Some cutting dies are split with a set screw to adjust the size of the cut for minor variations on diameter. Most hobbyist-type kits use solid dies. Dies are the reverse of a tap, they are used on bolts and threaded shafts. 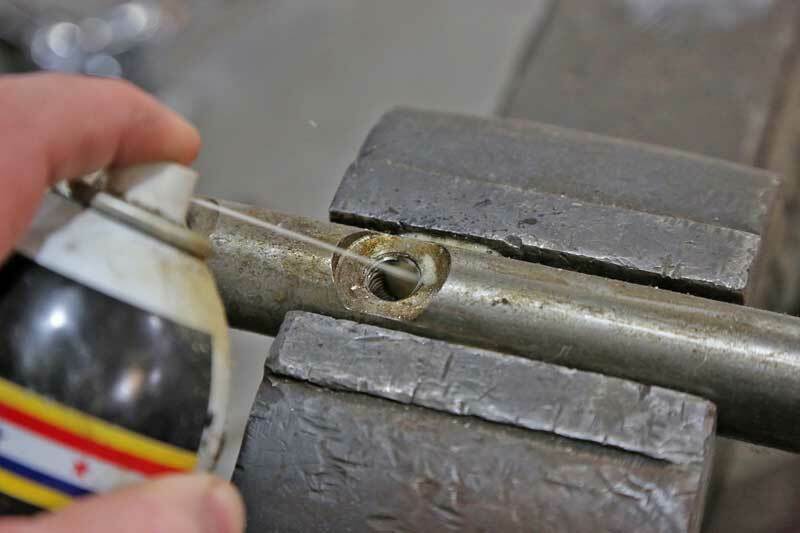 Like a tap, you want to ensure the part and tool is well lubricated, and back the die off the threads every few turns to break up the swarf. The bar we showed earlier with rolled edges gets re-threaded with the die. If the end of the threads are badly damaged, you may need to taper the edge so that the die will start squarely. You can do this with a belt sander, file, or disc sander. Now the threads are cleaned up and a new nut can be installed without worry. 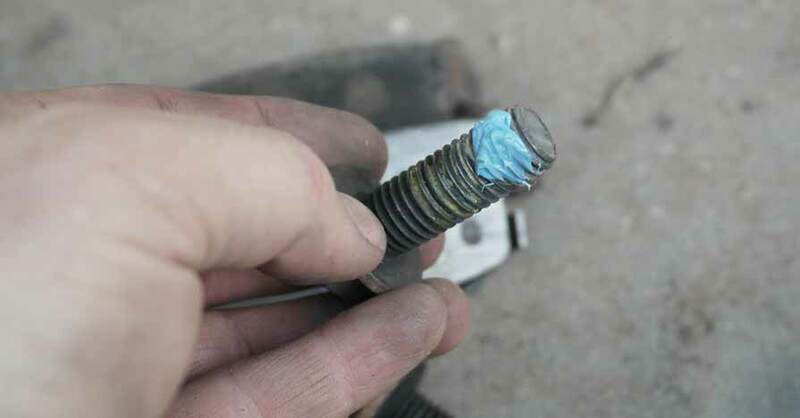 If you follow the tips in this guide, you will be able to repair just about any damaged threads you may encounter on your vehicle. Remember – critical and high-load parts with damaged threads should be replaced or professionally serviced. Don’t take chances with your life and others around you. Check out all the tools & equipment available on NAPA Online or trust one of our 16,000 NAPA AutoCare locations for routine maintenance and repairs. For more information on how to repair damaged threads, chat with a knowledgeable expert at your local NAPA AUTO PARTS store. I Have a Stripped Oil Drain Plug! Help!